This pair of file photos show Democratic U.S. Rep. Mike Michaud (left) and Republican challenger, Maine Senate president Kevin Raye, who will face off in the 2nd Congressional District race in the November 2012 general election. We are endorsing state Sen. Kevin Raye to represent the 2nd Congressional District because of his political skills and his commitment to Maine and because we believe having someone in the majority party in the U.S. House will improve the odds that legislation benefiting Maine will pass. U.S. Rep. Michael Michaud, D-2nd District, ably serves his constituents and has fought to grow manufacturing jobs and improve veterans’ health care. Michaud, of East Millinocket, has not been afraid to challenge the president or other members of his party when their proposals conflict with the best interests of Maine. Raye, of Perry, however, is a capable challenger. He has led the Maine Senate fairly as its president. He stood up for his beliefs when he voted to override Republican Gov. Paul LePage’s veto of research and development bond money. He has the strong approval of his district — Washington County and eastern areas of Hancock and Penobscot Counties — where he was elected to a fourth term in 2010 with 71.3 percent support. Both Michaud, as a conservative Democrat, and Raye, as a moderate Republican, represent well the values of Maine’s northern congressional district. But the fact that Michaud belongs to the minority party makes it less likely the bills he helps write will pass. Michaud acknowledges his frustration with inaction in the last two years. National polling indicates it’s likely the GOP will retain the majority status it gained in 2010, so Raye, as a Republican, has a better chance of influencing viable legislation. Currently all of Maine’s congressional delegation are members of the minority party in their chambers. Having learned from his mentor, Republican U.S. Sen. Olympia Snowe, Raye could bring a voice for moderation from within the majority party that could have more sway than one from the minority opposition. Michaud and Raye hold relatively similar views. Both support abortion rights but not the federal funding of abortions. They both support a balanced budget amendment to not spend more in a fiscal year than the government raises in taxes — but with realistic exceptions for times of war or other crises. They understand the importance of renewable energy. Michaud helped secure federal funding for tidal power research in Maine. Raye acted as a liaison between communities and companies involved in the Cobscook Bay tidal energy power system — the first commercial, grid-connected ocean energy project in North America. Both have aimed to be bipartisan. 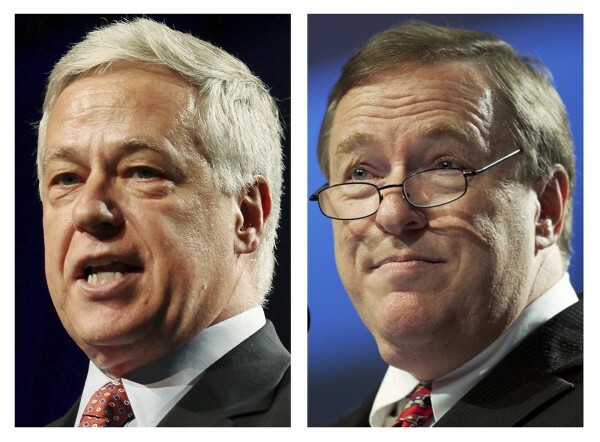 Michaud worked with both Democrats and Republicans to pass H.R. 1016, which allows Congress to approve veterans’ medical care funding one year ahead of each fiscal year to better plan the most effective care. Raye, after unanimously being elected Senate president, sponsored a regulation-reform bill, L.D. 1, which passed unanimously in the Senate and only garnered three “no” votes in the House. Our decision to endorse Raye is rooted in his strengths — we would not endorse a weak candidate just because he or she belonged to the majority party. But, in this instance, where both candidates have historically represented well the values of their constituents, we believe Raye’s affiliation with the party likely to hold the majority in the U.S. House could help Maine more. Having worked for Snowe for 17 years, Raye has learned many lessons about the necessary difficulties associated with bipartisanship and compromise. As a business owner and Senate president, he knows what it’s like to be responsible to others and to lead. May he use his skills as the next congressman to represent the 2nd District.